This is the most extreme downwind experience in the world, and only possible with the location and conditions that exist here in the Northeast of Brazil! 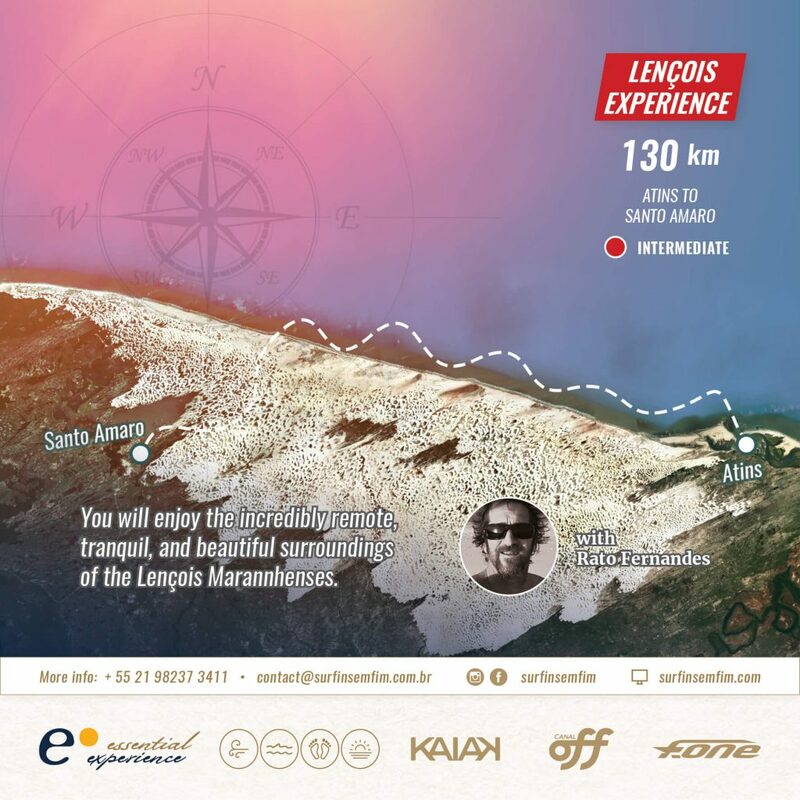 You will explore beautiful terrain, full of dunes, rivers, lush forests, and exotic animals, seeing this part of the world from a unique perspective. Kiting for long distances each day with test you mentally and physically, and push you to your limits- a great way to grow and explore yourself inside and out! 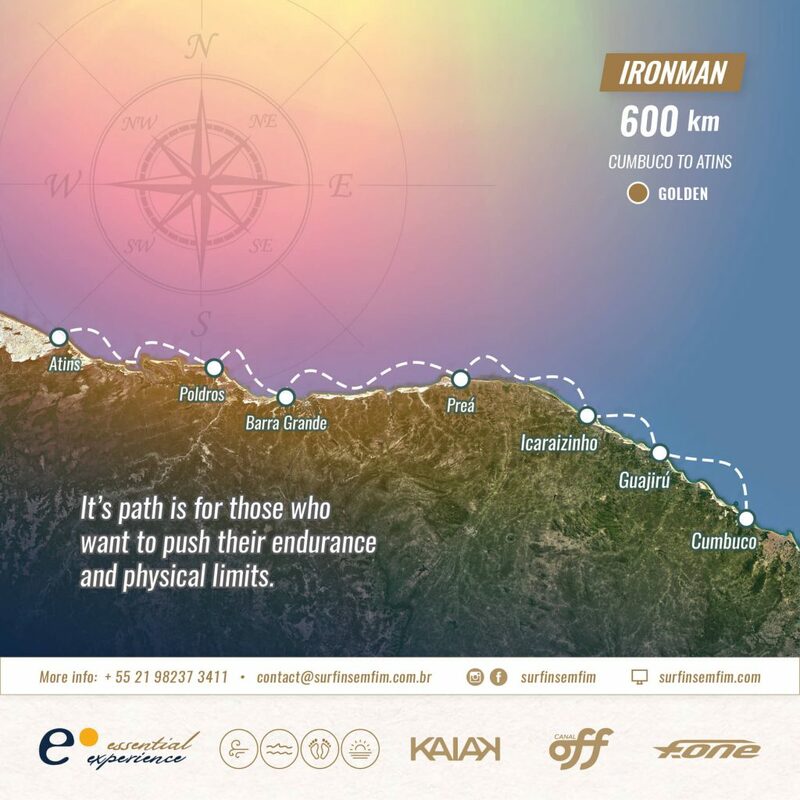 Everyday the briefing will be around 09:00 a.m after breakfast, so you´ll need to prepare your luggage before eating. After the breafing we will leave our luggage at the reception for the driver (please, ask at front desk to help you with that), and then at 10:00a.m. we should be on the beach ready to go. Luggage always be at the reception when we arrive at each hotel, and must be there when we leave. You can separate your small bags (with computers, and cameras) to go inside the car. Our gear and other equipment will have to go outside of the car. After breakfast we hit the water again,making our way up the coast of Ceará, we pass more amazing landscapes. We will stop at Fortim for the night, just after the famous Canoa Quebrada. Dinner with the team around 7:30pm. Sleep in the amazing Casa Stella Cadente. Breakfast around 8:00am, followed by our daily briefing. Usually the 4×4 follows the group during the whole way to Icaraízinho, but depending on the tide condition where the rivers meets the ocean, we may have no access by car. Passing through Flexeiras, Mundaú and Baleia, spectacular beaches surrounded by red rocks and palm trees that will make you sigh. In Icaraízinho, we can count on an amazing overnight stay at the marvelous Villa Mango in the village heart. Congratulations! 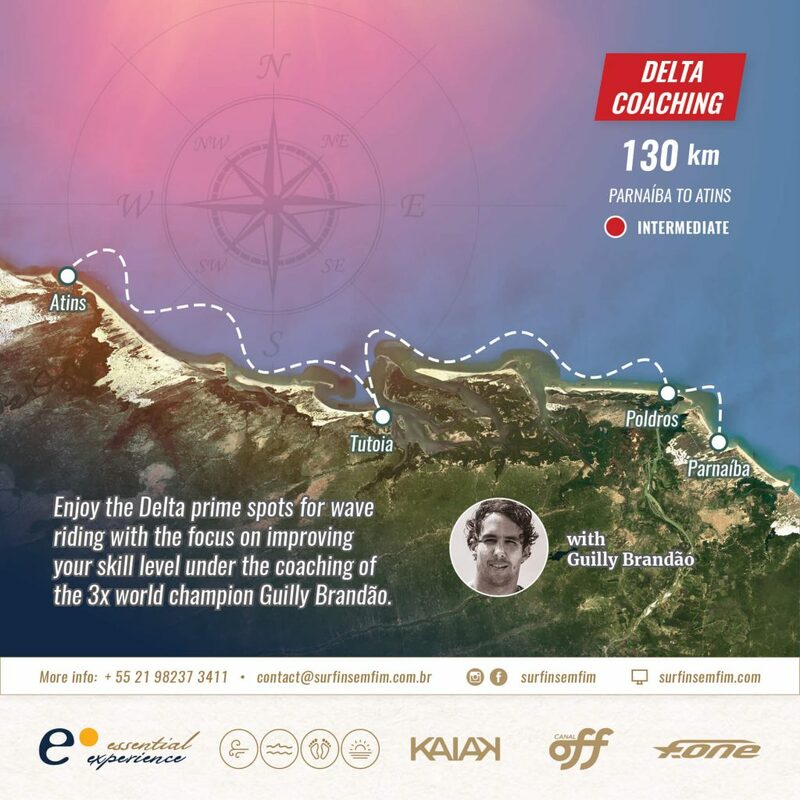 Thank you for allowing us to take you on this incredible experience, you can already start organizing your next Surfin Sem Fim Adventure in this beautiful and unique part of the world, the natural beauty of the Delta route awaits! 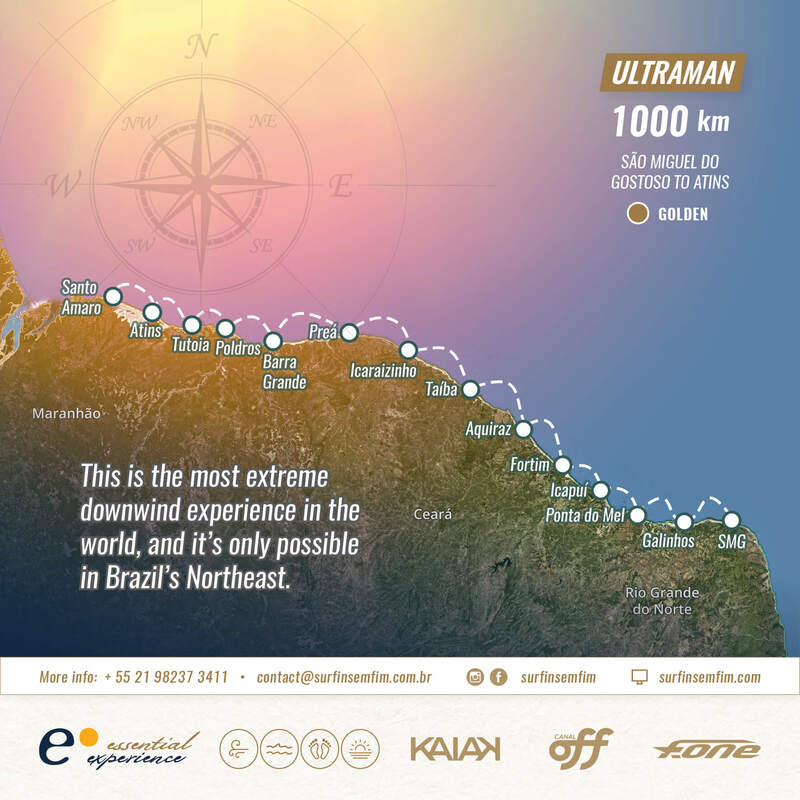 OBS: To participate in the Ultra Man route, the kiter must have already completed the Iron Man route or have a known, adequate experience level by a member of the SSF Team.